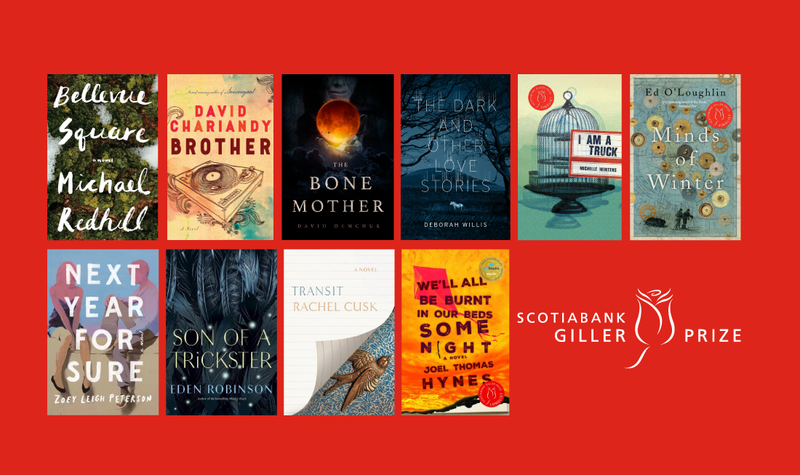 The Scotiabank Giller Prize is pleased to announce its longlist for this year’s award. The 2016 prize winner, Madeleine Thien, announced the longlist titles during a ceremony at The Rooms in St. John’s, NL. The twelve titles were chosen from a field of 112 books submitted by 73 publisher imprints from across Canada. The longlist was selected by an esteemed five-member jury panel: Canadian writers Anita Rau Badami (Jury Chair), André Alexis, Lynn Coady, along with British writer Richard Beard and American writer Nathan Englander. This year’s shortlist will be announced at a press event to be held at the Scotiabank Centre in Toronto on Monday, October 2. The 2017 Scotiabank Giller Prize will air on Mon. Nov. 20, on CBC at 8 p.m. (12 AT/12:30 NT), CBC Radio One at 8 p.m. (9 AT/9:30 NT) and will be livestreamed at CBCBooks.ca. Beginning in 2017, Audible.ca will be the exclusive audiobook sponsor of the Scotiabank Giller Prize.